Israeli Prime Minister Binyamin Netanyahu has stated that ”we are witnessing and experiencing the fulfilment of a prophecy, the yearning for Zion, the return to Zion and the revival of Zion”. He made the remarks in a speech to the Knesset in commemoration of 'Jerusalem Day', the anniversary of the liberation and reunification of the city following the Six Day War of June 1967. That date not only marked the end of nineteen long years of Jordanian occupation in the eastern half of the city, but also the end of around 2500 years of Gentile rule in Jerusalem. Not since the days of Nebuchadnezzar have the Jewish people been an independent nation in the land of Israel. The Israeli Prime Minister quoted from the Psalms, vowing that Jerusalem would remain the eternal and undivided capital of the state of Israel. 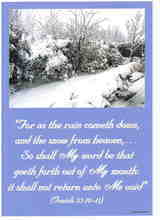 Quote: “'He raised his right hand and said – If I forget thee, O Jerusalem, let my right hand wither. Today we are raising our hand with the same oath. We are taking an oath for a built up Jerusalem, the eternal capital of Israel,' he said. I believe the pledge that the Israeli Prime Minister made, “an oath for a built up Jerusalem”, is in itself a fulfilment of prophecy. For the Bible states in Psalm 102:16, ”When the LORD shall build up Zion, he shall appear in his glory”. As Prime Minister Binyamin Netanyahu states, for thousands of years the Jews have 'yearned for Zion', a name often used in the Bible to refer to the city of Jerusalem and in particular the Temple Mount area. In May 1948 and June 1967 we witnessed the fulfilment of dozens of prophecies in the Old Testament concerning their 'return to Zion'. And today we are witnessing the 'revival of Zion'. US President Obama may consider east Jerusalem to be 'occupied Palestinian territory', but in reality it is God's land. And Jerusalem is the place where He has chosen to put His name (2nd Chronicles 33:7). 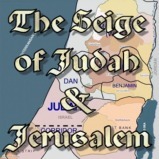 Today the nations of the world would seek to hand God's land over to the Palestinian Arabs. The international community constantly condemns Israel for building in their own capital city. Why? Is it really due to concern about the viability of a future Palestinian state? Is it really about finding peace in the Middle East? I think not. We need to look at the conflict on a spiritual level if we are to understand what is really going on behind the scenes. Unless we do this we will have a distorted view of the conflict, and we will fail to understand the reason why all of these things are happening, and what the outcome of them must be. 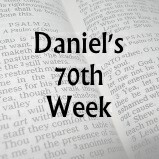 When we look back through the pages of the Bible we can see this conflict has continued in one form or another over the past six thousand years. After the fall of Adam, God promised Eve that through her seed a Deliverer would come, who would defeat Satan and bring redemption to mankind. Ever since that time Satan has made many attempts to prevent God's promise from being fulfilled. He enticed Cain to murder his brother Abel, so as to prevent the Deliverer from coming through his line (Genesis 4:8). He used Pharaoh to try and destroy Moses before he would have a chance to lead his people to freedom (Exodus 1:22). He encouraged Haman to conspire against the Jewish people to destroy them (Esther 3:8-9). He tried on many different occasions to prevent the Lord Jesus Christ from obtaining redemption for us on the cross (Matthew 2:16, Luke 4, John 7:30, John 8:20). And when Satan realized that he could not stop the Deliverer from coming and obtaining redemption for us, he turned his attention to the people this Deliverer would rule over, to try and prevent His kingdom being established. He used Hitler to try and wipe out the Jewish people before they could return to their ancient homeland. He used the Islamic nations to fight against Israel in numerous wars, in an attempt to “cut them off from being a nation; that the name of Israel may be no more in remembrance”, Psalm 83:4. And now that the Jewish people are back in the land, he is seeking to wrest control of Jerusalem and the Temple Mount from them, the place where the promised Deliverer would rule and reign from (Isaiah 24:23). And so this conflict over east Jerusalem and the Temple Mount is set to continue right up until the time of Christ's return (Revelation 19:19). But praise God that every attempt that Satan has made to try and defeat God's plan of redemption for mankind has failed and will continue to fail. As you can see, the fact that the Israeli Prime Minister has vowed that Jerusalem shall remain the undivided capital of Israel (though it will be redivided during the tribulation period for a time) shows us how close we must be to the coming of the Lord Jesus Christ. But is He coming for you? 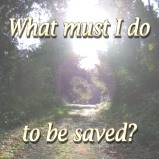 Have you trusted in the Lord Jesus Christ for salvation? Don't wait until it is too late. Believe on the Lord Jesus Christ for salvation today.